Where to Buy 5-11-26 Hydroponic, 5-11-26 Hydroponic Special Soluble Fertilizer + Minors - 25 Lb - $48.95 for Sale with Fast Free Shipping! 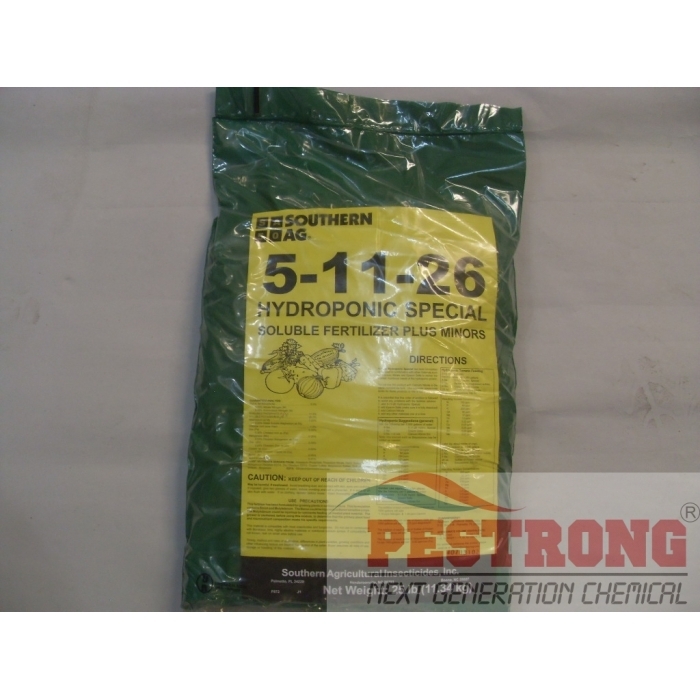 5-11-26 Hydroponic Special Soluble Fertilizer + Minors - 25 Lb designed exclusively for hydroponic culture is ideal for most hydroponic crops, especially tomatoes, cucumbers and lettuce. Florikan Sapphire 3-4 Month Aluminum..
*8 lbs. 5-11-26 Hydro Special 2 lbs. + Epsom Salts 5 lbs. + 6 ozs. Calcium Nitrate Sol. 4 teaspoons 5-11-26 Hydro Special + 1 teaspoon Epsom Salts 2 teaspoons Calcium Nitrate Sol. *reduce to half rate of Hydro Special to young tomatoes plant. Good stuff! Best Price! Get it now! Makes pretty blue tinted water!?! fast deliver, seems to be good hydroponic fertilizer but still take time to test the result. good job pestrong! It is famous for hydroponic fertilizer.....hard to find from local store.